If, like many of us, when a gift for a birthday, Christmas, anniversary or simply a unique way to say thank you is needed, you're stuck for a way to truly show your appreciation and thoughtfulness, then fear not! 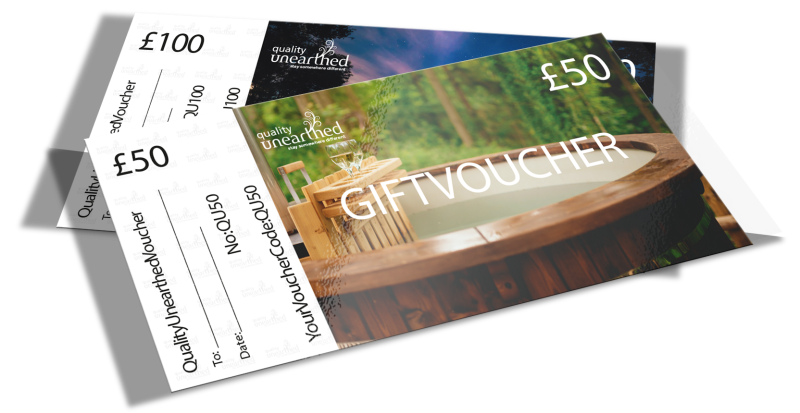 With gift cards in values of £25, £50 and £100, you can treat your nearest and dearest to something much more than a present, you can treat them to an experience. Whether that's sleeping under the stars, in a yurt, safari tent or eco-pod, we are sure they will relish the opportunity to try something new! Stay somewhere fun, interesting, romantic, inspiring, quirky, different. Stay somewhere magical. Give our team a call on 01348 830922 or email [email protected] for more information and to purchase your gift card. The office is open seven days a week, from 8.30am-8.30pm. We send the gift cards via first class post, so no need to worry if you're a little late getting your present sorted, as it can be delivered to your chosen recipient within the next two days. The gift cards are also valid for up to a year but can be used on a glamping trip outside of this time, so long as it has been booked with the year. They can also be used on any abode in the Quality Unearthed glamping portfolio, so your loved one has plenty to choose from when it comes to making their holiday dreams come true.